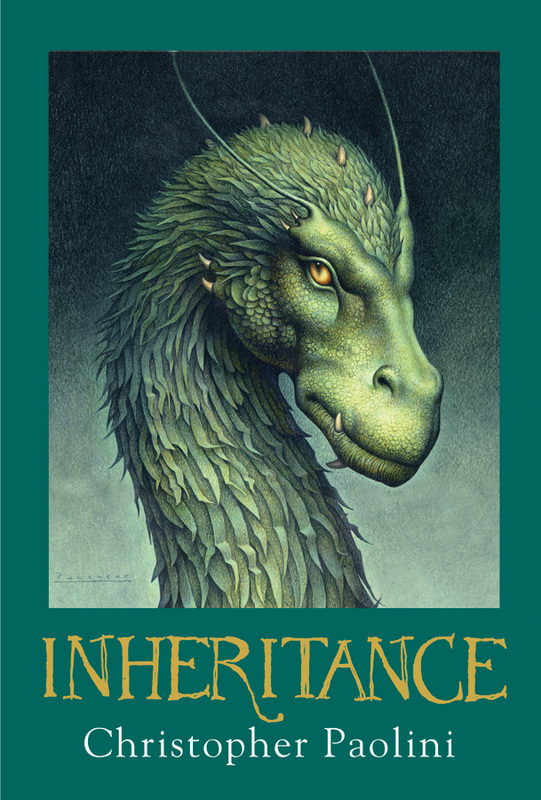 I’ve read this fourth book in the Inheritance series in English and I have to admit, my comment on Eldest is now rendered invalid. I quote: "Although I am a big fan of the story, the style of writing sometimes falters a bit for me. 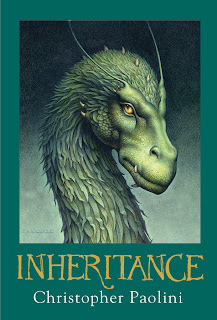 I don’t know whether this is due to the translation of the book (I have previously purchased this book in Dutch) or the writing style of Paolini himself. What bothers me is sometimes theatrical sentences and emotions. Everything is blown out of proportion and sometimes at completely the wrong moments. " Now I can actually attribute this to the translation. Yet another confirmation that the original (or at least English) almost always seems to be better than Dutch. Eragon did not have much time to find a solution to the problem with the name "Galbatorix '. How can he defeat the king and him his dragon Shruikan when he is not even strong enough to stand up to Murtagh? It seems that Glaedr won't be much help either, as he has withdrawn in immense grief. The army of the Varden come closer and closer to Uru'baen and the dangers are more threatening than they ever were. I really, really enjoyed this final installment in the series. It is with regret that I say goodbye to Alagaesia and its inhabitants. While reading, I wrote down a few points that especially touched me or where I was very happy about. One is how heartwarming I thought Eragon was. In this book (and probably also a bit in the past, but it is only now that I really noticed) Eragon is so pure and so honest. To better illustrate what I mean I'm referring to the part in the book where Eragon, Saphira and Glaedr route to Vroengard. Eragon discovered during this trip that the world is round. He seemed taken aback by this and immediately began putting his own life in perspective. The war seemed in his eyes inconsequential compared to the immensity of what he sees. Eragon often has these moments and that is why I am so much in love with his character. He sees the wonders of the world, he can still be amazed by certain things, wondering if there is more that we might not see. Our brave hero is also very adept at self-mockery, just look at his fight with the snail and how he laughs at himself as the "Snail Vanquisher", this makes his character a lot lighter and more humane. It makes him even more humane than the overflow of emotional moments (although this book was, in that respect, much better than the previous one). What I also think is very great in the Inheritance series, is that Eragon goes in search of the truth behind religion throughout the books. He tries to learn as much as possible about the different religions to learn wonders which one is the right one. Eventually, he still has no conclusive answer to his questions, but I think it's fantastic that uncertainty towards the gods is interwoven into the story. Also, the contrast between magicians and ordinary people is put forward several times in Inheritance. In itself, I think it is ok that Paolini has chosen this, it does seem unfair that some people may have magic while others never will have the chance. Yet ordinary people always count on the protection and tricks of the magicians and they support it, too. The idea of ​​Nasuada at the end, to control the magicians seemed all wrong (and a bit impossible) and I am happy that Eragon has rejected her proposal. My conclusion: this is the best book in the series. I've heard many angry comments about the end, especially that of Arya and Eragon, but I found the end just good. The speaking of another's real name was in my opinion much more intimate than a kiss. Frankly, a kiss for me would have screwed it up, after such an intense moment of farewell. All loose ends were nicely tied together, all the story lines seem well to have a good end. Throughout this last installment there were some very clever twists, like the Vault of Souls, the Name or Names, the relationship between Murtagh and Nasuada that gives him the power to eventually change his true name, and so on. Too bad this is the end of a great story, but it's certainly a very worthy end.